Not broadcasting Drivetime from Talksport of a morning is daft ..... and worst still is time-shifting the program. It's a morning staple. Using a TV audio feed on radio for football (soccer) is just plain daft. At what point in the English language does one hear the phrase "I listened to the video highlights - they were great!" . Surely Fox or anyone for that matter is offering up an actual radio commentary, you wouldn't run NFL or college football with a tv fee, why is the round ball different? Worth a watch for .... the penalty that wasn't - even the Ross County gaffer agreed - and then Scott Browns red card for taking a Liam Boyce out in revenge - he is now out of the crucial Scottish Cup semi against Rangers. THAT, was not a foul. Two more matches left. Hard to believe Newcastle is getting promoted after one season. .... so with Joey Bartons 18 month ban in England, will he try for the MLS.... The Scots won't have him back me thinks...... *(he was on 20,000 quid a week at Rangers) ..... maybe Mario can help him find a flat in Italy. The Sky Bet Championship Play-Offs order has been provisionally confirmed ahead of the last day of the season. Reading, Sheffield Wednesday and Huddersfield Town have secured their place in the end-of-season showdown, while Fulham are three points ahead of Leeds United going into the final day. Only a Fulham loss to Sheffield Wednesday and a Leeds win at Wigan, along with a 13-goal swing, would see the Cottagers fall out of the Play-Off places. Please note, if Leeds United finish in sixth place and Sheffield Wednesday or Huddersfield Town finish third, ties would be revised to ensure this fixture took place on Sunday 14th May and Wednesday 17th May. All matches will be shown live on Sky Sports. Fulham might make it back up to the EPL. 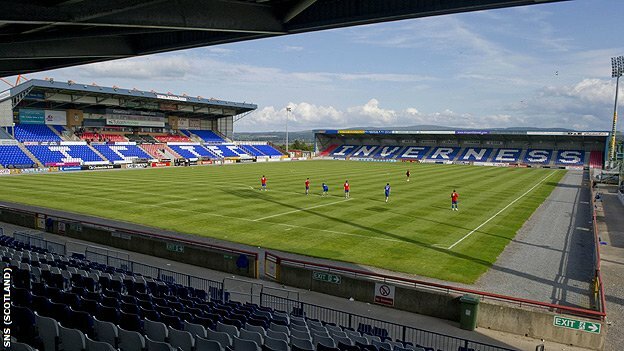 Inverness CT kept their survival hopes alive as goals from Brad McKay and Greg Tansey gave them a 2-1 win over Hamilton at the Caledonian Stadium in the SPFL Ladbrokes Premiership. Danny Redmond's late consolation put some gloss on the result for Accies.